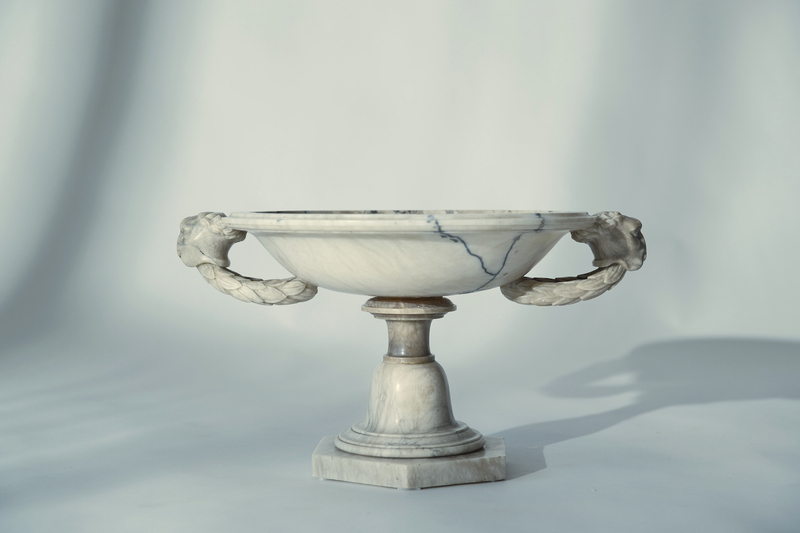 A Grand Tour Marble Tazza, Italian first half of 19th century. 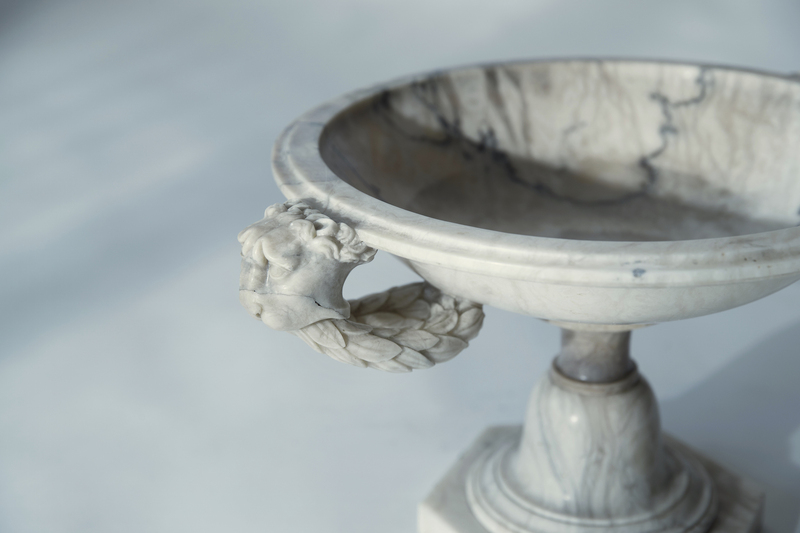 A circular marble Tazza with handles in the shape of lions with garlands upon a fluted socle and a stepped hexagonal marble base. Old restauration to the bowl.